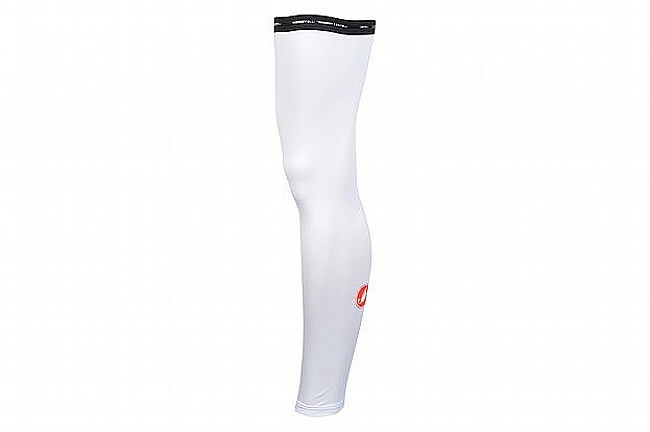 The Castelli Light Leg Skins are designed for protecting riders' skin from the sun's harmful rays during summer riding. Featuring a lightweight polyester base fabric, the Light Leg Skins quickly and efficiently wick moisture way. With a simplified construction, the Light Leg Skins were kept very minimal to eliminate seams and the chafing they cause, while Castelli's double-sided silicone elastic keps them in place . While they officially rate these at UPF 50+, but in Castelli's lab, their tests resulted in 99.8% blockage of damaging UV rays. Solare fabric keeps the chill or heat off without causing overheating. Polyester-based fabric for excellent moisture management. Double-sided silicone elastic at top for excellent grip. Ankle zip for easy on/off. i am 5'712 and 128 lbs 32 inseam. the leg sleeves are the perfect length but a bit tight around my thighs (19) but definitely doable. the grippers at the top are superior to other brands and do not slide down at all!. i use these for riding and tennis. their moisture wicking ability is great and they breathe amazingly well with no overheating. way more efficient for cancer protection than icky suncreen which needs re-applying often. i was concerned prior to purchasing about the performance of these leg sleeves but am a believer now. even though they are a bit pricey they are worth every penny when it comes to protection from the sun's rays.